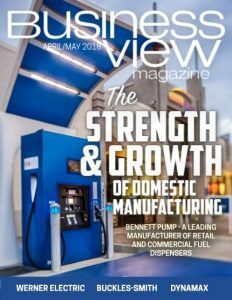 Business View Magazine interviews Cara Finn, Director of Economic Development for Middlesex County, ON, for our series on Infrastructure in Canadian Cities. 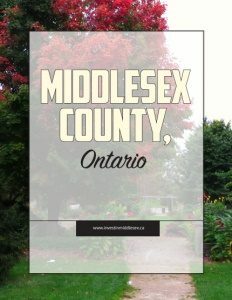 Middlesex County, in the heart of Southwestern Ontario, has it all: ideal location, amenities, business opportunities, scenic beauty, and an exceptional quality of life that’s enjoyed by all in this vibrant and diverse collection of communities. The County consists of eight municipalities (total population around 74,000) that surround the city of London (home to over 380,000 people). Besides being nicely situated in proximity to that urban center, Middlesex County sits at the intersection of two major thoroughfares – Highways 401 and 402 – and is one hour from the access to Port Huron, Michigan, and within a two-hour drive of the Greater Toronto Area (GTA). All this makes it a prime hub for transportation and logistics. The great location is definitely spurring development interest. While the County does not own any business parks, per se, the local municipalities and private individual investors own eight business parks that are promoted as part of the Middlesex County investment strategy. One of those parks, publicly owned by the municipality of Strathroy-Caradoc, is a rarity; a provincially certified site, which means it is shovel-ready for investment by Ministry standards. Ontario has a rigorous 13-point system to be met by business park owners to ensure those lands are ready for immediate investment and can be promoted as such by the province. Indeed, advantages for businesses are many. Taxes are lower in Middlesex County than in the urban centers, and housing prices on average are considerably less. With access to any and all services nearby in the larger cities, the cost of doing business in the County is lower by far and the municipalities are willing to work quickly and efficiently with investors to ensure they become operational as soon as possible. Owners of new facilities coming into the area say they appreciate how much faster things get moving in the County of Middlesex in comparison to larger centers. The recreation complex was built to Green Globe Designation standards, which allows it to reclaim heat generated by the refrigeration plant to accommodate in-floor heating in areas like the main lobby. The building also has a large number of rooftop solar panels that cover both ice pads, and the municipality has a contract that allows it to receive revenue to offset the hydro costs incurred in running the operation. The facility is also fostering a great deal of commercial and residential development along the corridor where it’s located. Five hundred new homes are slated to be built in the area in the next few years. With respect to infrastructure, much of the work is done at the local municipal level. However, the County has an engineer and a county roads system which intersects with the municipalities on critical assets such as main bridges. Middlesex County is definitely engaged as a partner in that type of process to ensure everything that’s needed is available to go forward. Several of the County’s small urban centers, municipalities with a population around 20,000, have significant downtown areas. The largest center, Strathroy, has had a downtown improvement program running for over ten years that invests in the facades of private businesses through what Ontario calls a CIP (Community Improvement Plan). It’s a formalized plan that showcases the investments a municipality is going to make each year in partnership with private investors. The predominately rural municipality of North Middlesex had a unique situation back in 2013. 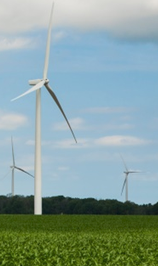 At that time, the county had an influx of investment into wind turbines, and North Middlesex established a Community Vibrancy Agreement with the turbine company, whereby they received amenity fees up to $250,000 a year from the operations. Those funds are being invested by the municipality in the local hospital, community development fund programs, façade programs, an endowment fund, and operating and capital projects. Ultimate benefits are achieved by combining private investments and environmental sustainability for the community good. 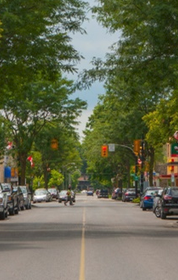 Check out this handpicked feature on Clarington, Ontario – A phenomenal quality of life.